Gnome design hand-cut into an old saw with a plasma cutter. 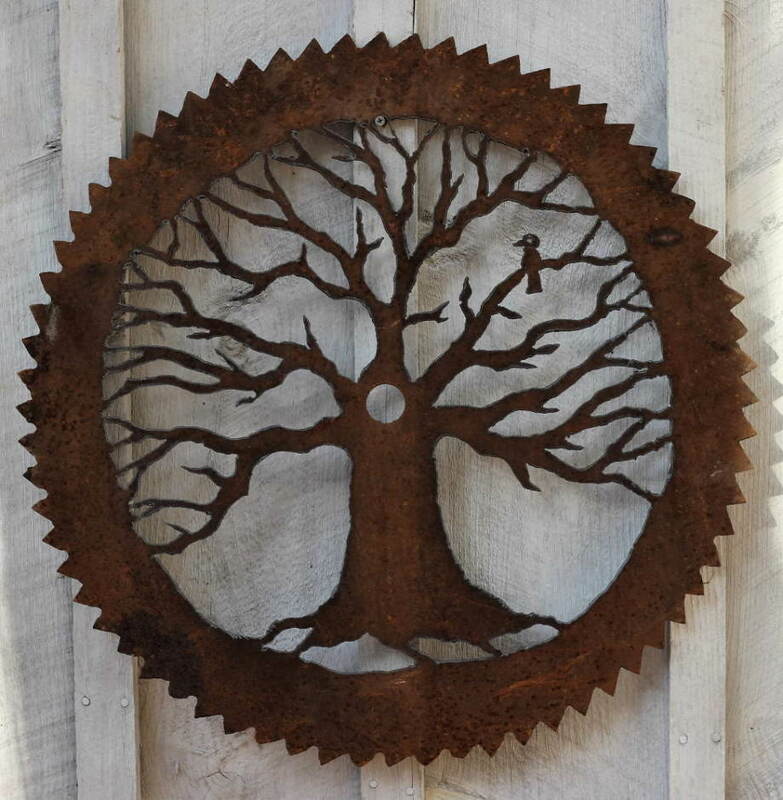 Mother Nature design hand-cut into an old saw with a plasma cutter. Green man design hand-cut into an old saw. 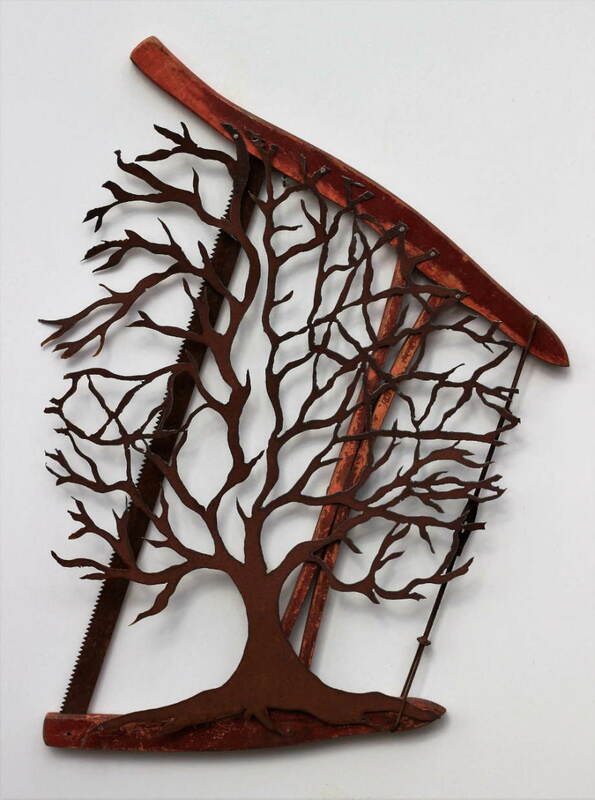 Tree design hand-cut into a saw with a plasma cutter. Heart tree design hand-cut into a saw with a plasma cutter. Birds of a feather design hand-cut into a saw. 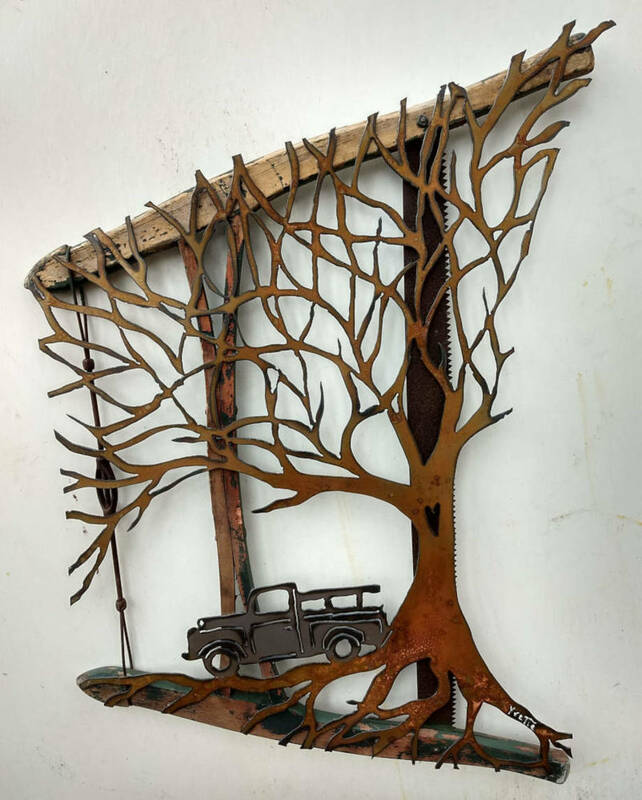 Bird in branches design hand-cut into an old, reclaimed saw with a plasma cutter. Measures approx. 24" x 8"